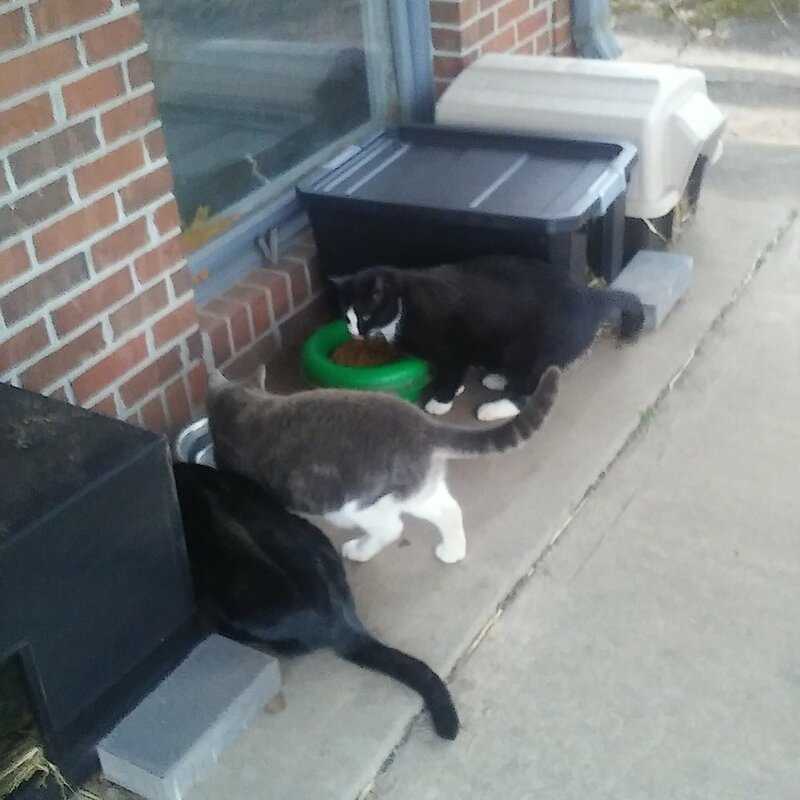 The Community Cat Colony Program is our response to the vast number of feral cats who roam the Upstate. Working in partnership with those individuals who care and manage their colonies, CCA provides aid in stabilizing the colony by controlling breeding among colony members. But, what is a feral colony? It is a group of cats that have reverted to their wild instincts in order to survive. Some even come to the colony as former pets, but over time, they are no longer socialized to humans. These family groups are often found around local homes and businesses where there is a reliable food source. Without intervention the colony will continue to grow. Each breeding season can add dozens of new kittens. This unchecked growth becomes a problem for the colony, the person providing food and water and for the community as a whole. To mitigate this problem, CCA offers a humane, non-lethal solution, known as Trap, Neuter, and Return (TNR). This process stabilizes the colony by preventing uncontrolled breeding. It also advances the overall health of the colony. CCA works with colony caretakers to humanely trap the cats. Once trapped, the cats are vaccinated, treated for parasites, altered and ear tipped (so that we can easily identify which cats have been altered). The cats are then returned to the colony and their caretaker. The result of this program is a colony that is healthy, stabilized and more easily managed. TNR activities would not be possible without volunteer support from the community to both help trap cats as well as transport them to and from the veterinary clinic. Click here to learn more about how you can help.